On Saturday morning we got the kids all dressed up in the Easter clothes their mother made for them and then we immediately covered those Easter clothes in heavy coats so we could head over to Georgia Street for the big Easter egg hunt and pancake brunch being held at the garden (the one I wrote about here). 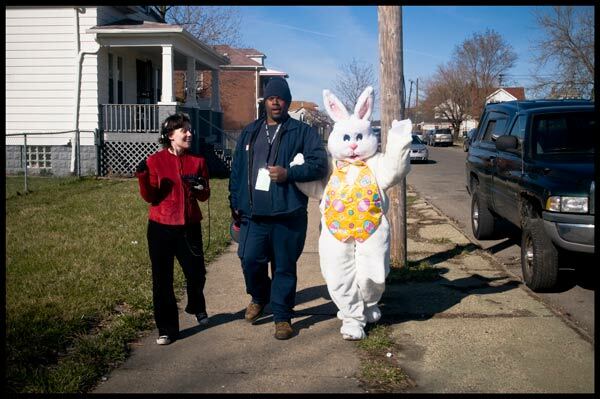 I saw the Eastern Bunny walking arm-in-arm with Mark Covington while being interviewed by the lovely Jennifer Guerra of Michigan Radio and I just had to run ahead of them to take this picture. 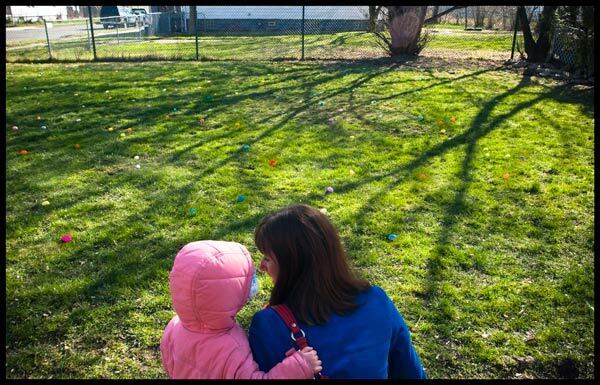 Gram was totally into the Easter bunny, but I couldn't get his sister anywhere within ten feet of the giant rabbit. "I think that's just somebody in a costume," she said, "But I don't know who it is." 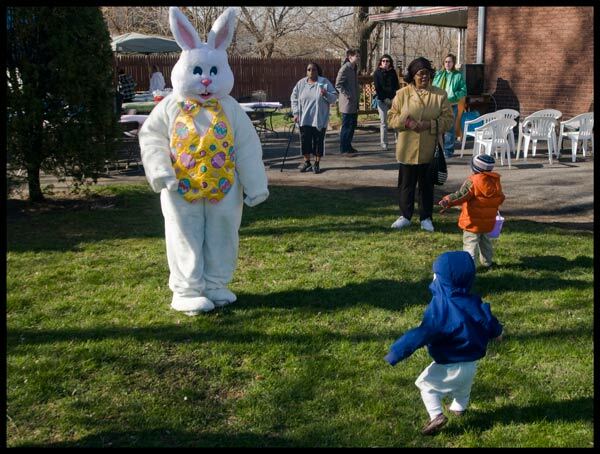 We met a bunch of great people at the brunch that followed the egg hunt. 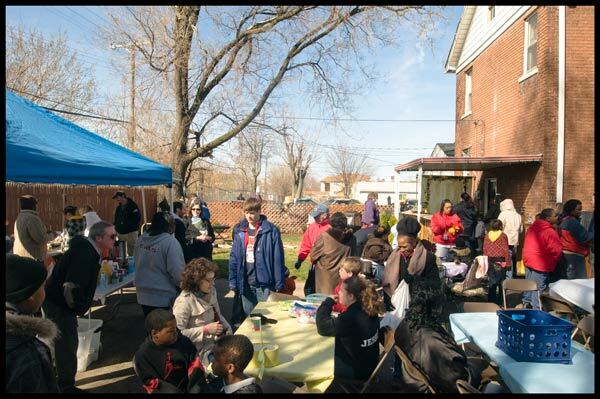 Such a wonderful example of what's going on in Detroit to retain and even restore the sense of community.